If these tired of suffering pains of feet, this shoe with laces Tolino will be the ultimate remedy, want to know why? By buying this product you can collect up to 690 loyalty points. Your cart will total 690 points that can be converted into a voucher of 5,52 €. This model is designed exclusively designed to offer maximum comfort, leaving aside the fads and fashions, but taking into account that it is very easy to match with any clothing. This collection is presented in two basic and timeless colors when we talk about man's draft. -Black, because it is timeless and fits any kind of costume, from more formal trousers, with a jeans. -Brown, with a very natural and easy to match shade, it brings a touch of color to our way of dressing but without stridency. the outside of these shoes Tolino is natural beef skin very soft and tender, but of great strength and durability. Have the fabric covering on the front end, to offer smooth, seamless and the back are lined with micro touch hypoallergenic fiber "second skin", to ensure a great breathability and softness in the shim. Insoles are removable, Thermo shaped and lined with the same technological fabric to the inside of shoes. The floor is ultra-light and highly resistant polyurethane, and has a large capacity to absorb impacts. This stitched to the skin all around in a craft way, which makes it very durable. Fastened with laces and stitching in the front, which makes it much more soft and comfortable. The toe round and very wide, allowing total mobility on the part of the fingers. 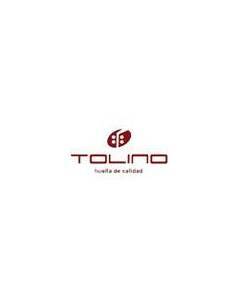 Designed and manufactured in Spain by Tolino brand. Tolino has created this line of shoes so they can wear throughout the day, with a design and style clean and essential lines, dedicated to a man who needs to be on the move throughout the day, and values above all the comfort when walking.